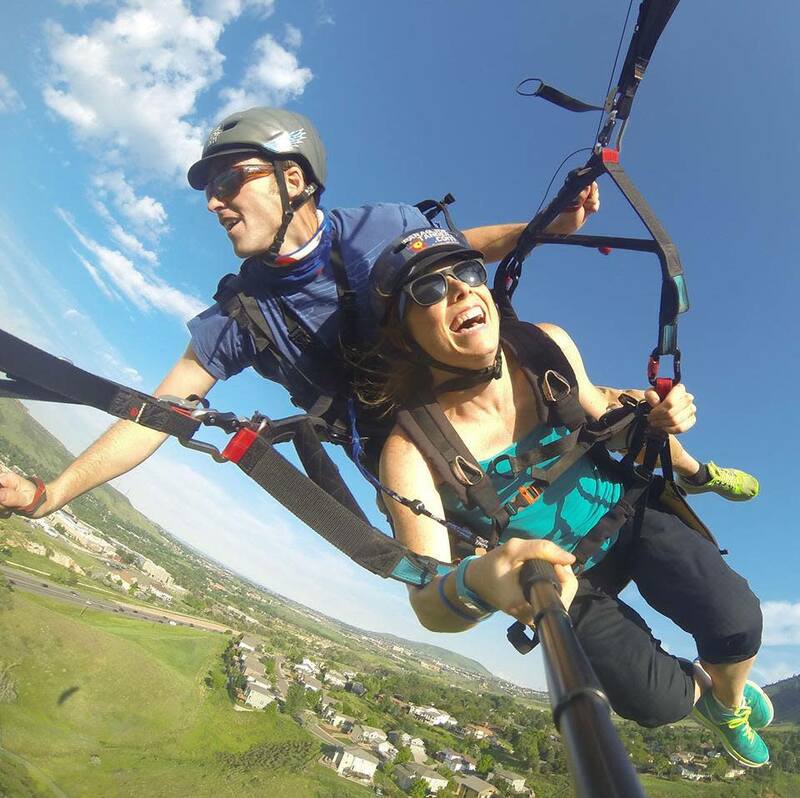 Golden is one of the only a few paragliding locations on Colorado's Front Range, offering easy access and spectacular views of Denver. When the wind conditions are right, the sky above Mount Zion (west of Golden) is often filled with paragliders and hang gliders. Gliders catch thermal air currents that lift them to a birds-eye view high above the city. Eventually, they gracefully circle and swoop their way to the foot of the mountain 900 feet below to the landing zone adjacent to Highway 6 between 19th Street and Highway 58. 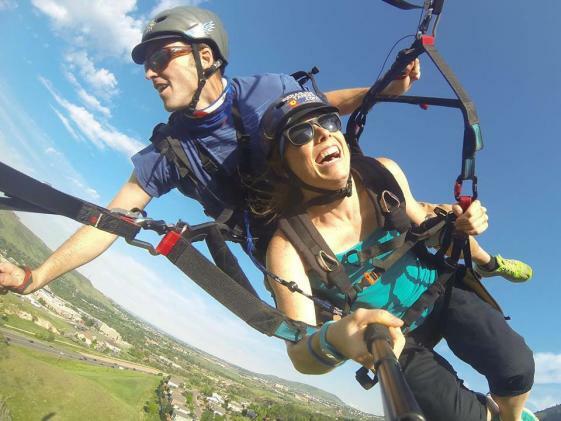 Golden has several outfitters that cater to the first-timer, as well as advanced training for the more experienced adventurers, including Colorado Paragliding, LLC. Contact Rocky Mountain Hang Gliding & Paragliding Association for detailed information for pilots. Watch as paragliders sail of Mt. Zion in this YouTube video: http://www.youtube.com/watch?v=JPAZitJdmlo&list=PL1A09E75AE0F5F0B8&index=2.